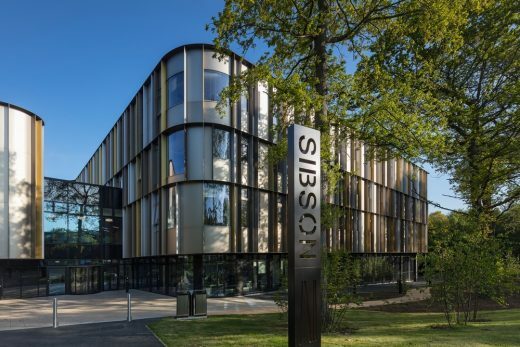 Sibson Building, University of Kent, Canterbury one of fourteen buildings shortlisted for RIBA South East Awards 2018 by the Royal Institute of British Architects judges. There were 43 buildings entered in the region, which covers Kent, Surrey and Sussex. Awards: 2009 WAN Awards, Healthcare Building of the Year, 2008 World Architecture Festival Highly Commended, 2008 Civic Trust Winner, 2008 Lighting Design Awards Winner ‘Best Exterior Lighting’, 2008 Islington Society Awards Winner, ‘Best New Building in the Borough of Islington’, 2007 Building Better Healthcare Awards Winner ‘Best Hospital Design’. Awards: 2006 Building Better Healthcare Winner ‘Best Use of Art in Hospitals Award’, 2006 Building Better Healthcare Winner ‘Best Primary or Community Care Design Award’ and 2006 RIBA Award Winner.